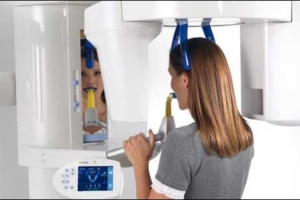 Our Orthophos CT scanner allow us to plan for surgical procedures, such as root canals and implants, so there are no surprises! Are you in need of a dental surgical procedure? There are several procedures performed by The Dentistry that require a special scan, including root canal and dental implants. It is necessary to get a complete picture of a patient’s underlying bone and tissue when evaluating for dental implants, and sometimes for difficult root canals. This can be facilitated through the use of a computed tomography (CT) scan. 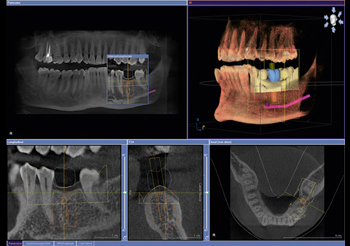 This procedure is very similar to a conventional x-ray but shows a more detailed, 3-dimensional cross section of the area being scanned. In conjunction with standard X-rays it provides necessary information for safe and efficient treatment planning at a low radiation dose.